Our visit to Acadia NP in Maine August 2011 with George and family. Includes photos of the main town of Bar Harbor, views from Cadillac Mtn., a demo of lobster fishing on the Lulu, lunch at Jordan Pond, hiking, a carraige ride and, exploring tide pools. 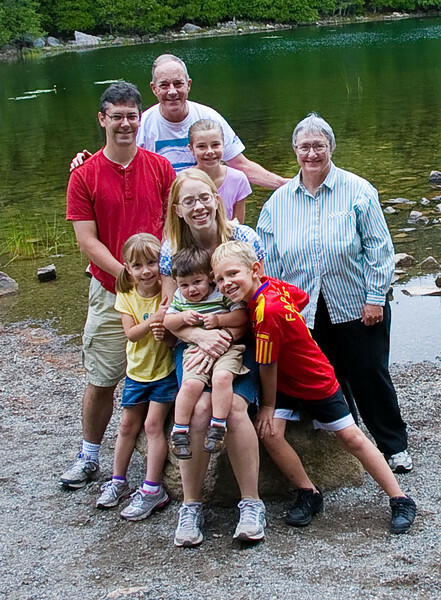 Group photo taken at The Tarn, one of several fresh water lakes/ponds in the park.